In this year we have seen many Bollywood Movies .But we are waiting for the biggest movie of the Year which is "Bajrangi Bhaijaan" . 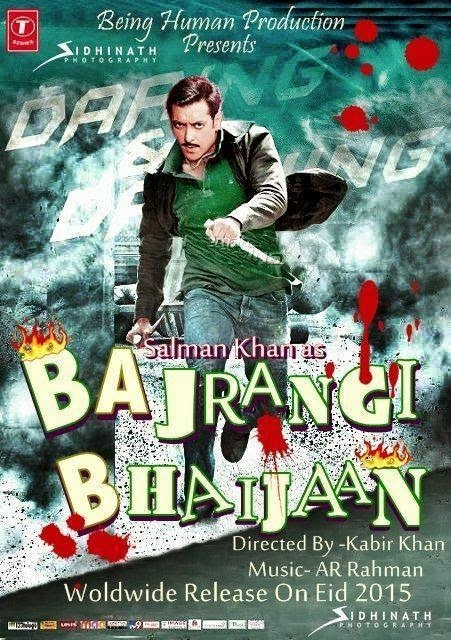 After getting bail from Jail this movie will decide Salman Khan's career in Bollywood. "Bajrangi Bhaijaan" is Upcoming drama movie which is directed by Mr. Kabir Khan. This film is produced by Salman Khan,Rockline Venkatesh.This film features Salman Khan,Beautiful actress Kareena Kapoor Khan and Nawazuddin Siddiqui in lead roles. This film will be released on 17,July,2015. Upcoming film Bajrangi Bhaijaan story is also based on India-Pakistan chemistry. This films starts when a cute little girl Cross International Border of India - Pakistan . Salman Khan who is follower of Lord Hanuman. Salman Khan fight against everything to sent that girl back to his country. 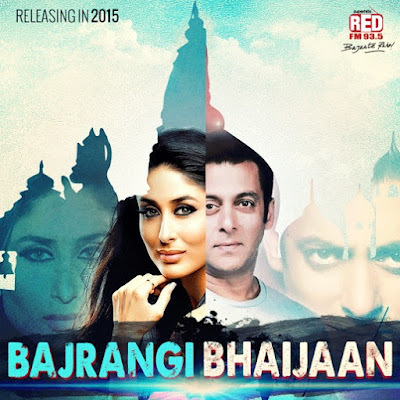 Official Trailer of Bajrangi Bhaejaan is Released. After watching the promo we can suggest you . This should be a nice movie to watch.The trailer of the movie released on 28 May. The trailer of the Kabir Khan-directed film begins with a little girl from Pakistan, who gets left behind in India. Salman turns saviour for the girl and has taken it upon himself to get her back to her native country. Young Singer Nakash Aziz will lend his voice to Salman Khan for the first time. "Beta Le Le Selfie" is nice song from this movie. This film is scheduled for release on 17 July 2015.